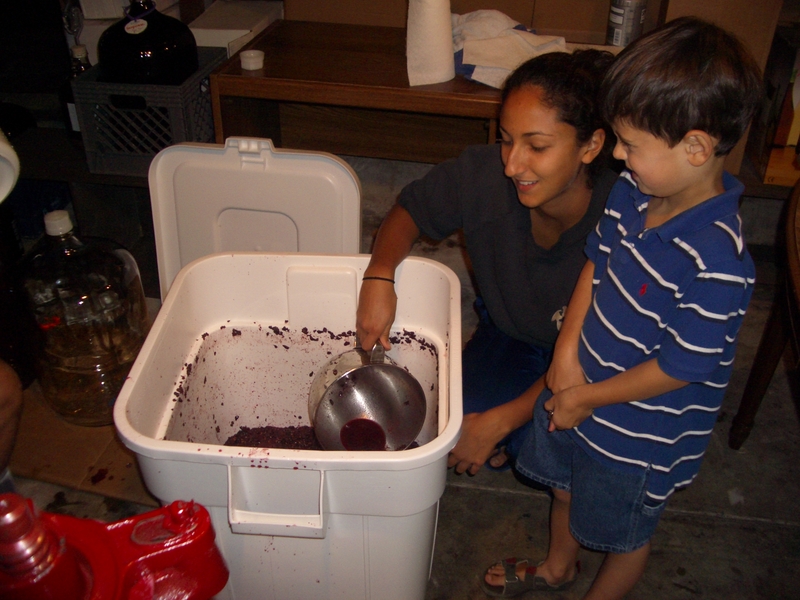 A month or so ago, I wrote about where and how we started making wine. 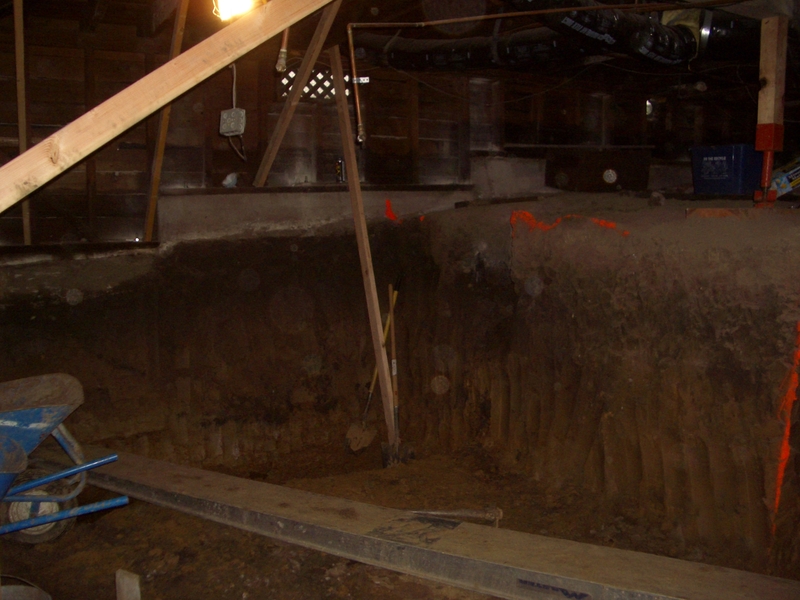 As you can see from the pictures in the Crawl Space post, full grown adults just could not stand up in there. Our hobby required the help of shorter members of our family. After three years of this nonsense, Uzi hatched a plan. In a crafty way, Uzi suggested we remodel the bathroom–make wife happy–and while we’re at it, expand the basement for additional “storage”–make husband happy. Before I had even said yes, he began drawing up plans for a full-blown wine making operation downstairs. He studied optimal floor plans for wineries, he devised lists of winery requirements (such as a floor drain, stainless steel double sink for washing, hot and cold water hoses for barrel rinsing) and he reminded me of what a beautiful bathroom we would soon have. Before we could stop ourselves, we had hired our tried and true design/build team, Levitch Associates. 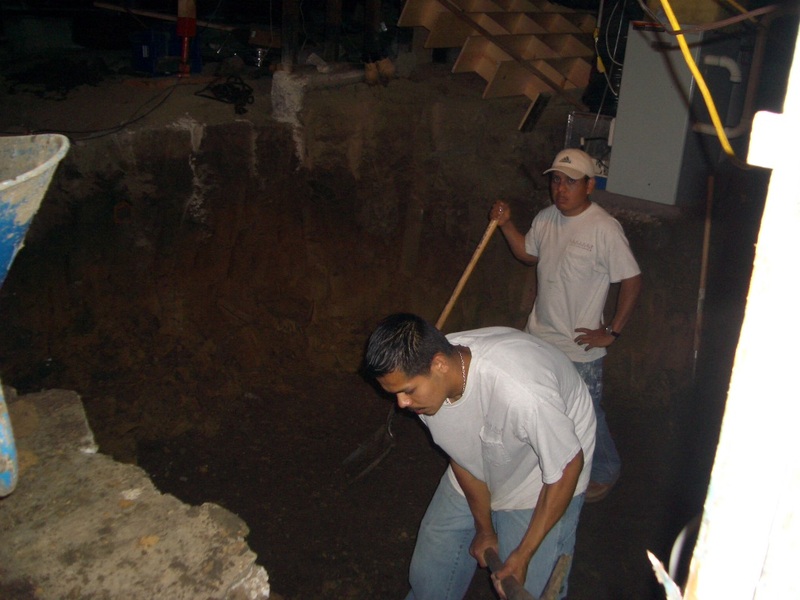 The plan to expand the basement/crawl space involved a major excavation dig below our house all by hand. The workers dug like gophers. 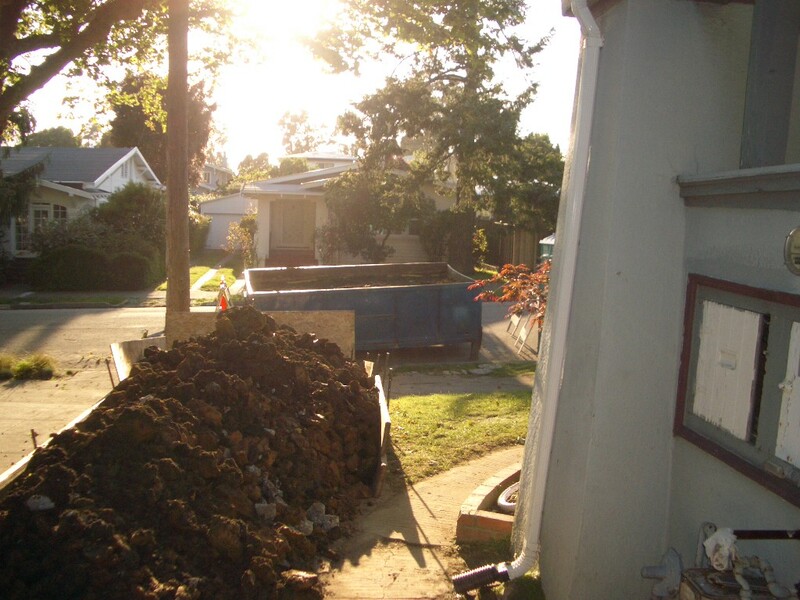 They filled up and hauled away dumpster after dumpster of dirt. Our house was shored up with a couple of 2x4s in the giant void of space above which we walked, we ate, we slept, we lived.